When I bought the Complete New Yorker, I knew that I wanted to transfer it to a hard drive and bought an external drive a couple days later. And I love having all those old New Yorkers. Previously, I was buying bound copies on eBay and would soon have to buy an off-site warehouse to store my half million pages. But, you can't copy it to a hard drive. I tried everything (with lots of help from Hooptyreaders! Thanks Bruce! Myke! Dean! Frank! Thomas!) and it really looked like the Toast option was going to work. It correctly mounted the disc image and appeared to have all the necessary attributes, sizes, dates and icons. But, it didn't work because it is copy protected with Macrovision. I am so profoundly disappointed. The New Yorker is in the business of selling magazines. Certainly, they make a few dollars off the Cartoon Bank and their various editorial compilations, but I would bet, that the overwhelming money comes from ad space. Perhaps I am wrong, but I doubt it. What are they afraid of? The 8 DVD's are going to be on P2P sites? The New Yorker is concerned that people will be downloading 60 GBs to read old Talk of the Town snippets? That high school kids are going to be trading them in the parking lot? They will be sold on street corners along with Harry Potter? Wouldn't this huge black market of Complete New Yorker piracy just create more demand for the magazine and more ad space dollars? It is fitting of a New Yorker cartoon! I would be downloading all 60GBs, I am that devoted. But I don't have to because The Complete New Yorker is cheap, beautifully packaged and comes with a great highlights book. The scans are good, the software adequate, the extracts are decent so the searching really works, but I do revoke my recommendation that it is worth buying. You buy it, but you don't own it. Conde Nast still owns it. You can't use it in a fair, legal and sensible manner and you don't know that until you own it, as it doesn't have a sticker reading 'This DVD is Fucked.' It is not unreasonable to expect that consumers would choose to archive and eliminate the onerous disc swapping that is caused by being spread over 8 DVDs. What next? Well, it was a mission, now it is an epic battle. There are lots of DVD copy programs that disable Macrovision, but I have not found one that will create a mountable disk image. Anybody know of one? If I have to, I will buy a DVD writer tommorrow and copy them, then mount the Macrovision-stripped disc images with Toast. Why go to all this trouble? I like to fix broken stuff and I don't like being told that I can't. 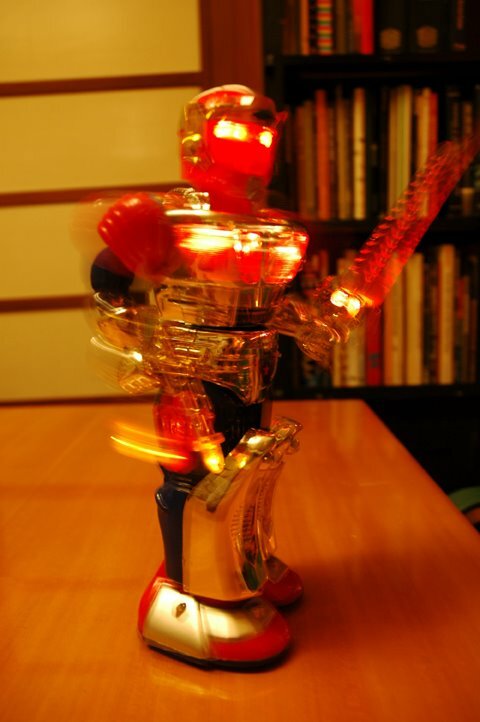 And, for any Hooptyreader that wishes to draw an original New Yorker style cartoon making fun of the feared New Yorker black market, I will send you, in recognition, a Super Mega Heavy Metal Robot that walks, spins, flashes LEDs and SPEAKS SPANISH!